I have two school aged children, so sickness and fevers are something that my children deal with yearly. I try to be proactive, and find items that I can have in the house, to prepare myself when sickness happens. 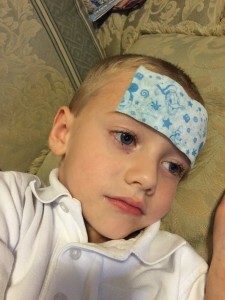 When a fever hits my 4 year old son, it is usually always high. I immediately give him medicine and try to keep him cool. What I found to help greatly are these cool fever sheets I have been using! Cute Disney Characters your kids will love on the front of the gel sheet! These gel sheets are basically thick strips of cooling gel you put on your child’s forehead, cheek or neck when they have a fever. It gives immediate cooling relief. I put one on my son, and even though he said it was freezing, I noticed his high fever started to come down. These are safe to use with any medication, since they do not contain medication. They have very cute Mickey Mouse and Friends theme on them, so my son was excited to look at the strip before I put it on his head. I love the fact that I can keep them in the car and my purse. No need to refridgerate! They also last 8 hours!! I put it on him at 10pm and by 6am it was still cool on his forehead. It is also so easy to apply and take off, it doesn’t get stuck to his head or hurt to take off. 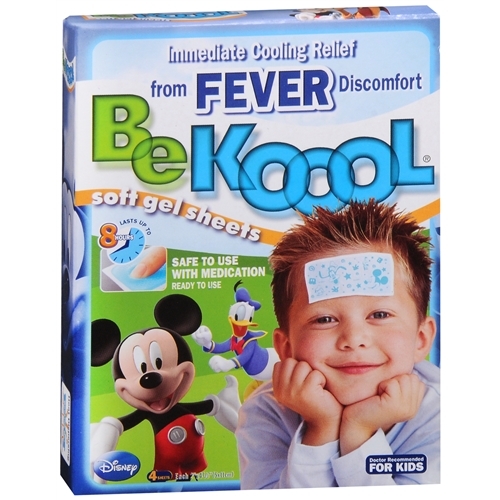 Be Koool Fever sheet keeping my son nice and cool from his fever. This company also makes the gel sheets for adults, and also for help with Migraines. To check out their products click here. 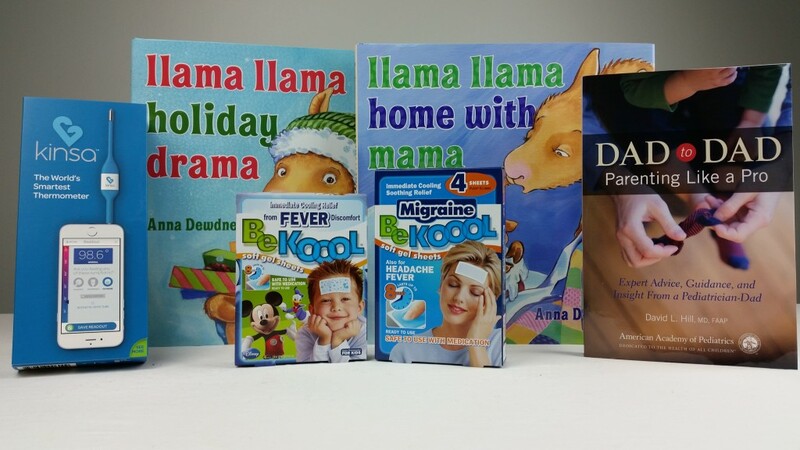 Win the line of BeKOOOL products, a Kinsa Smart Thermometer, two books from the Llama Llama series, and Dad to Dad, a book by pediatrician Dr. David Hill, all valued at more than $90. Win this awesome prize pack! Make sure to leave an email address you check most often! A winner will be picked on: 12/1!! CONGRATULATIONS TO CARLY AMORIM WHO WON THE GIVEAWAY! Can I Have New Sheets, Please? Manage fevers through YL Peppermint EOs. D-i-L uses OTC meds with her children. We use OTC medicine, plenty of rest and depending on what kind of sickness it is we use the “B.R.A.T.Y” diet! We use OTC medicine. I put the boys in cotton clothing and lots of rest and fluids. I use these ALL the time. I love these things. They really work well! 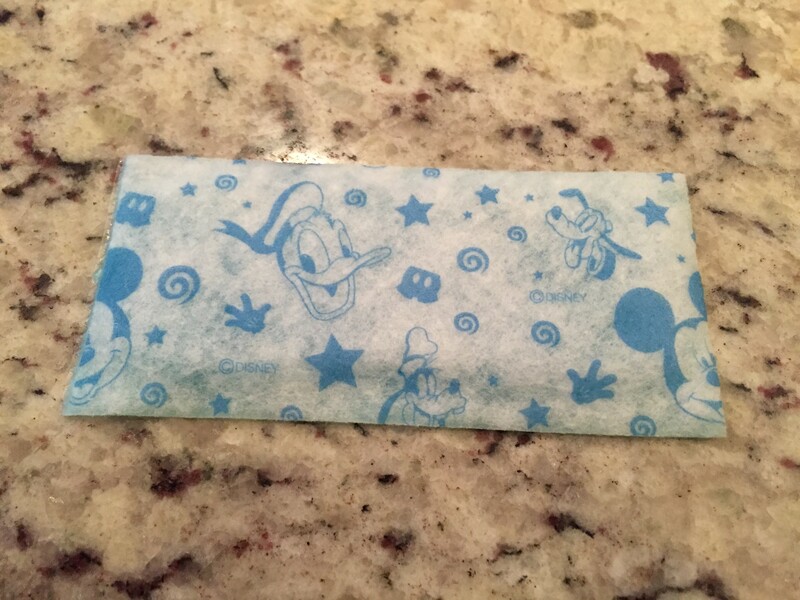 I’m trying to find information on their website about what the Be Koool strips are made of. I’d like to learn more about how they work. That sounds like a great idea. My kids are always so miserable when they have a fever. I usually use essential oils on my kids when they have a fever!This is such a great idea! I love that you can keep them in your purse since in our family fevers never hit when we’re at home. They’d also probably be great on bumps and bruises! I need to find these. They would make my life so much easier. I love that thermometer too! We do a mixture of different things – fresh air, essential oils, vitamins, healthy foods, meds when necessary and a lukewarm bath. Our son just started kindergarten so I have a feeling we will be needing this prize pack to combat the bugs he brings home from school! We’ve had a terrible string of RSV cases here in GA. I feel like I need to stash these in the medicine cabinet in case we are struck down. I know those cooling gel strips would come in handy. Colds are really starting to spread around the school! Fevers are never any fun and I hate seeing my babies get sick. These cooling strips look like they can help them feel better. These are so perfect! My daughter constantly grabs cold items to put on her head when she has a fever. These are so neat. They are perfect for when little ones are running a fever. I wish they had these when I was a kid. I had to use a headband to keep the washcloth on my forehead. This sounds like a great product. Simple and affective. I have read about this but the migraine one is new to me. Will have to see if our local CVS has that one as our daughter gets migraines. I could definitely use the migraine one! I will have to check these out. My kids would love these cooling sheets. Love the characters on them too! Those sound like a great thing to have on hand. This time of year someone’s always got something! I need to pick some up. This is brilliant, I’d use these too because they are genius. I had no idea these were on the market, on the shopping list. We rotate Motrin and Tylenol, get plenty of rest and use cool rags!! What a clever product! I think any family with kids should have this in the medicine cabinet. I’ve never seen or heard of these but what a great idea! I put a damp, cold washcloth on my own head when I don’t feel well. This is much easier. We use some OTC fever relievers and a wet towel mostly. Also I encourage my kids to drink lots of water when they have a fever. I love this product and wish it was around when my kids were younger. I had to take their temp with a mouth therometer and it was always a struggle. I would have loved one for migraines. I had a hysterctomy and they seem to be gone now. Knock on wood. Oh these do sound really good. Looks like a nice easy way to cool those temps. I will have to get some for my grandkids. Children’s Tylenol, lots of liquids, and love! We use tylenol, make sure they are drinking plenty of cool fluids and wearing light breathable pajamas. I use children’s advil. Doc says advil is much better than Tylenol dosage wise. And cool clothes on all the hot spots, head, behind the ears, under the arms. And lots and lots of love! Congratulations, you win the giveaway! I will be contacting you for your mailing address!